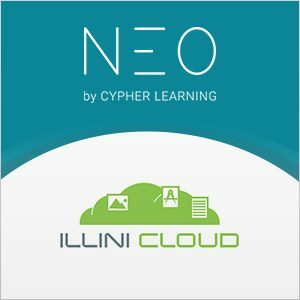 NEO, the LMS for schools and universities from CYPHER LEARNING, announced integration with IlliniCloud for Open Standard authentication. The purpose of this new collaboration is to make the authentication process easier for students and teachers, reduce support incidents for lost/reset passwords, and to minimize the situations of login attempts from multiple sites. IlliniCloud will use SAML 2.0 as a communication protocol. NEO is an LMS for schools and universities that is known for its intuitive user interface, extensive feature set, and strong return on investment. NEO provides a refreshingly new way to teach and learn that boosts student engagement and makes teaching easier. NEO is a product of CYPHER LEARNING, a company that specializes in providing e-learning platforms for organizations around the world. “In an environment that is oversaturated with education solutions, NEO enables our members to manage learning and communications across teachers, students, parents, and the community in a visually rich and centralized location”, said Jim Peterson, CEO, IlliniCloud. NEO is a world class, award winning LMS for use by schools and universities. The platform is known for its easy-to-use and beautiful user interface, a comprehensive set of innovative features, and pricing that provides great value for money. NEO is a product of CYPHER LEARNING, a company that specializes in providing e-learning platforms for organizations around the word. CYPHER LEARNING products are used by over 20,000 organizations, supports 40+ languages, and have millions of users. IlliniCloud is a non-profit tech cooperative of school districts across the country that provide schools with the means to operate smoothly, efficiently, and safely for the benefit of the teachers and students. IlliniCloud strives to solve issues facing K-12 Districts today providing solutions such as decreasing capital expenditures for IT services, providing IT resources to districts, and more.